Any arrest for driving under the influence (DUI), driving while intoxicated (DWI), or operating a vehicle while intoxicated (OWI) may lead to very serious consequences. However, when a person is arrested and charged with this type of offense and has a previous DUI-related charge, it might be even more legally, financially, professionally, and socially devastating. It is critical to fighting the charges aggressively to minimize the impact on the defendant’s life, as well as that of his or her family. At Swango Law P.C., our skilled DUI attorneys understand how serious repeat DUI offenses can be. A second, third, or subsequent DUI charge can substantially increase the penalties that a person may face, including longer jail sentences, larger legal fines, and suspension of a person’s license for more time. It is crucial to examine each of the options with the client to come up with a strategy that best suits the needs of goals of the individual who has been charged. Revocation of a driver’s license for three years. A third offense can lead to even more severe penalties, and it may be charged as a Class Six Felony. A person may face up to five years in prison and may lose his or her license for up to a decade. If an individual has been convicted of DUI twice in a ten-year period, it may require the installation of an ignition interlock system on the vehicle belonging to the defendant, even if that person does not operate the vehicle. 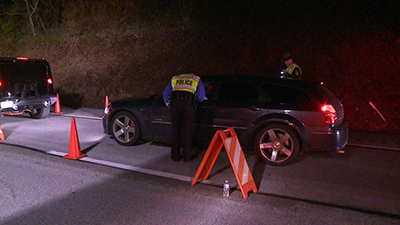 Poor performance during the administration of the field sobriety tests (FSTs). Once the officer has determined that there is a basis to believe that an individual may be under the influence of drugs or alcohol, he may then administer a breathalyzer test. By chipping away at the validity of the underlying justifications, it may be possible to get charges reduced, or even dismissed entirely. In addition to analyzing the actions of the officers in justifying the initial stop, administering the various tests, including the FSTs, breathalyzer, and chemical tests, and providing the appropriate warnings, it also is possible that the officers did not document the facts of the arrest properly, or two different officers had conflicting reports. Further, there may have been equipment or lab errors that led to an erroneous result. An experienced DUI defense attorney understands how to break down the elements of the charges to craft a strong defense, even if a person has previously been arrested and charged with DUI or a related offense. If you face criminal charges relating to an arrest for driving under the influence, driving while intoxicated, or operating a vehicle while intoxicated, it is critical to getting the right legal help as soon as possible. We represent clients in the Hampton Roads, Virginia area, including Virginia Beach, Norfolk, Chesapeake, Hampton, Portsmouth, Newport News, and Suffolk. Call us today at (757) 383-9229 to schedule an initial consultation.